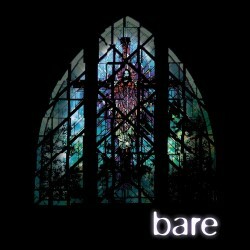 Bare is a rock musical set in a private Catholic Boarding school. It follows two boys, Peter and Jason however Jason is the school’s golden boy and refuses to tell anyone of their relationship. A spanner gets thrown in the works when Ivy decides to go after Jason and sets a downward spiral in motion amongst them all. It is a show that I’ve never seen before but having heard bits of the soundtrack and a lot of hype about it I was keen to see. The show was produced by Edinburgh Little Theatre with a young cast. The show is heavy going and dragged at times but a combination of the overall story and the music kept my interest. As I didn’t know the story well I did find it difficult to follow at times, especially in the sections which had faster lyrics. The diction was often poor from the cast which lead to me missing parts of the plot. There were also moments that were meant to be in a more dream like state and I thought this could have been made more obvious, even with a simple lighting state change or the way the cast carried themselves. The cast were a strong cast. Linzi Devers played the role of Ivy and she was perfect for the role. She had a strong belt voice suited to this type of show and she managed to portray the wide range of emotions needed for Ivy. Peter and Jason were played by Stuart Mitchell and Callum Ford and again suited the roles well. They had a great chemistry together and once they had settled into the piece their voices blended well together. Jason’s sister, Nadia was played by Ruth Harris. Nadia is supposed to be overweight and there are constant references to this throughout the show. As Ruth Harris is far from being overweight she needed to therefore carry herself differently to try and portray herself more as the underdog. The set was simple, consistently of two black boxes and a table which was mainly used as an alter. One of the advantages of having a simple set could have been that scene changes were unnecessary and this would have assisted with the pace, however there was constant movement of the black boxes, even for miniscule amounts within blackouts. With some imagination this could have been totally avoided. There were a lot of missed opportunities within the show, especially with such a strong cast. The staging of parts of Romeo and Juliet could have been in stark contrast to the boarding school scenes but there were no disconcernable differences. Many of the scenes simply merged into one due to the repetitive staging which was a real shame considering the scope in the source material. Bare was overall an enjoyable show, let down slightly by lack of imagination by the production team behind it. Bare is on at Hill Street Theatre, Alba Theatre until 26th August at 20:20- 22:30. To find out more about the show and Edinburgh Little Theatre visit their website. If you like this review you might like my reviews of All Shook Up, My Left/Right Foot and Liz.